It’s been over two decades since the fatal shooting of American rapper Tupac Shakur, yet his legacy and timeless contributions to the music industry still live on. 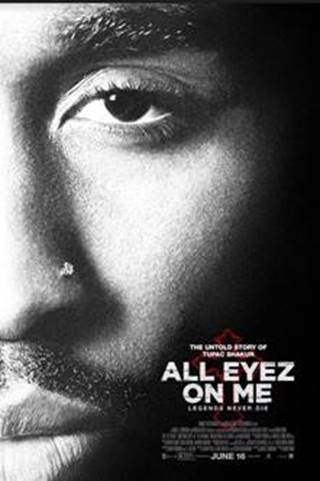 Directed by Benny Boom, the new Tupac Shakur biopic “ALL EYEZ ON ME” will unveil the untold story behind the legend — revealing many things known to those who have followed the triumphs and tragedies of his life, but also uncovering many truths untold. Featuring an all-star cast: Hill Harper, Kat Graham, Lauren Cohan, Jamal Woolard, Danai Gurira, and Demetrius Shipp, Jr. as Tupac Shakur, the ALL EYEZ ON ME biopic will follow the prolific rapper, actor, poet and activist from his early days in New York City to his evolution to one of the world’s most influential voices in music before his untimely death at 25. The true and untold story of the cultural icon will release June 16, 2017 and close out the American Black Film Festival on June 17, 2017.